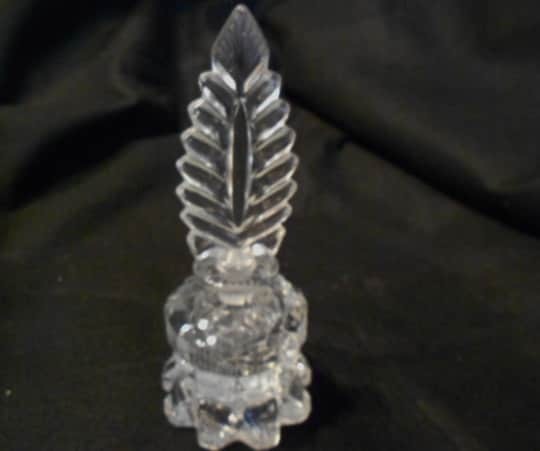 Heavy glass perfume bottle made in the 40s, has an art deco look from the feather lid to the chunky cut bottom. 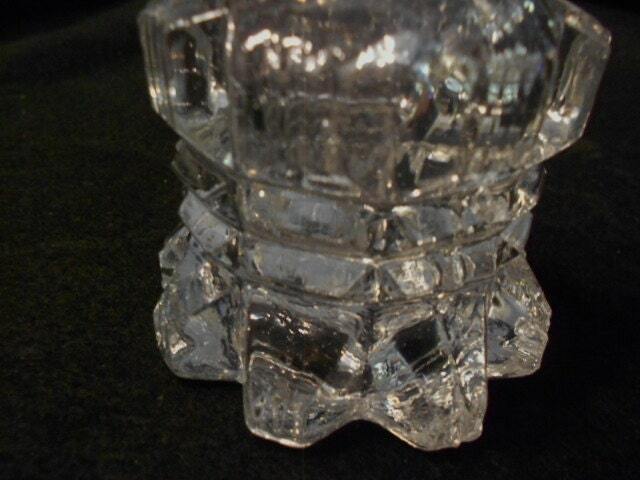 Lots of tiny bubbles can be seen in the bottom, there are 3 seams so it is pressed glass. The feather has a few of the teeny bubbles here and there. 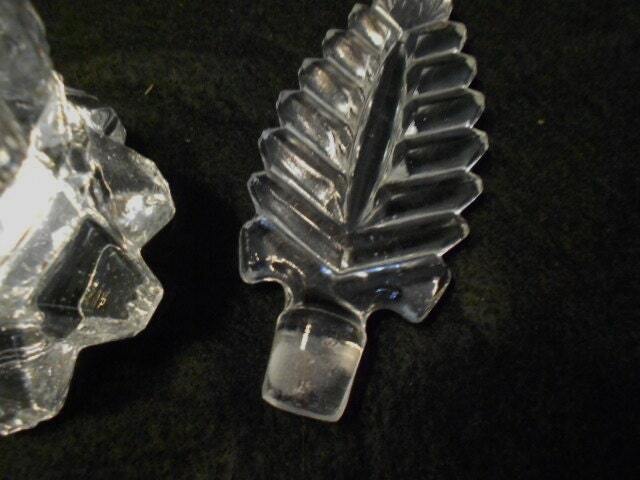 The bottom is 3" tall and 3" diameter at the bottom and the feather is 4.5" long and 1.75" wide. the size of the hole is 5/8". 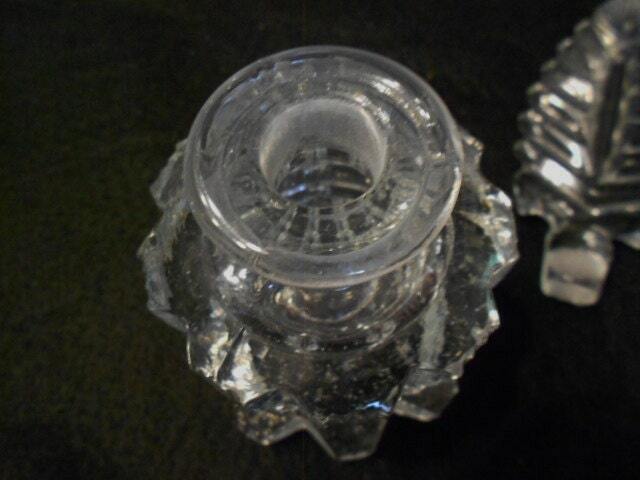 It is in very good vintage condition except for a chip on the outside edge of the piece that sits inside the bottle on the feather. 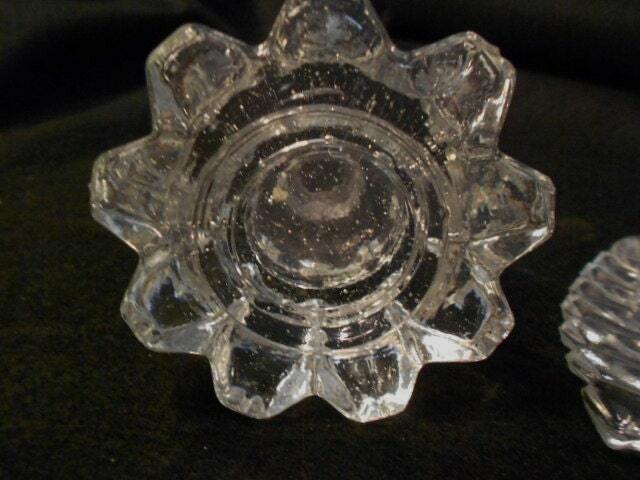 Would be beautiful in a ladies bedroom or bath with some colored water in it.